After 25 years of perfecting its technique, one property management firm says it has found the answer to the eviction issue that plagues so many rental property owners: be more vigilant in the tenant screening process. While it may seem like a simple answer to be proactive rather than reactive, Orange County, California’s Lido Property Management says the detailed work that goes into proper tenant screening can be quite extensive. At the same time, the reduced number of evictions is well worth the effort and Lido’s landlord clients can attest to its benefits. The L.A. rental market, not unlike many areas in Canada, can prove daunting for rental property owners, who face rent controls and rental regulations that make it nearly impossible to remove problem tenants. That has forced Lido to focus on the big picture — overall profitability. The goal of the company and primary concern in their tenant screening process is to protect the investment that a property owner has made and optimize rental profits by bringing in only qualified tenants who will not be a risk for the cumbersome process of an eviction. This strategy is in contrast to competing management firms and private landlords who rely more on cultivating long-term tenants, in an effort to limit costs by reducing turnover. But Lido says that its tenant screening practices have led to a 99% reduction in eviction rates for rental property owners, making it the more successful strategy. 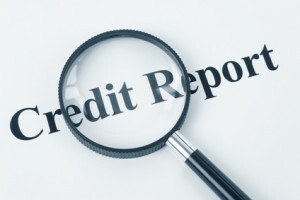 The first part of Lido’s tenant screening process focuses on running tenant screening reports, including credit checks. While a basic search of this type is done by most property management firms, Lido has expanded their standard inquiry to include employment verification using pay stubs only within a two week period and checking to make sure that the applicant has available funds in their bank account. Then, a consultation with the prospective renters makes them aware of their obligations and the potential legal consequences concerning on-time rent. Lido has also discovered that speaking with current and previous landlords often helps to identify what are considered “problem tenants.” In an attempt to get rid of these tenants, some current landlords will be less than honest about the tenant’s ability to pay. On the other hand, previous landlords will be more upfront about whether the prospective tenant is a problem as they have no financial stake in the matter. By taking this extra step, Lido reduces the number of problem tenants their clients will have and the subsequent number of evictions. In addition to proactive tenant screening, Lido Property Management can also provide accounting, maintenance, collection, and many other rental property management services. Is registering a tenant’s late payments with TVS only visible by TVS searches, or will other people see it when they do searches? Thanks for asking Gary. Currently only TVS members can obtain tenant history on late payments. TVS is a Credit Reporting Agency in Canada and the USA that networks property managers and landlords. It is important to note that when you intend to report tenant pay habits, which all property managers and landlords should do in my opinion, the tenant or prospective tenant needs to sign the Notice to Tenant which advises that tenant pay habits are reported on the 3rd day of each month. It can be any day! The Notice to Tenant makes an impact statement along with advising that tenant pay habits are going to be reported. This will minimize risk of income loss. It’s FREE! So why wouldn’t a PM or Landlord do this? This L.A property management company brings “in only qualified tenants who will not be a risk for the cumbersome process of an eviction.” That is not possible in Ontario. Our human rights housing commission policy FORCES landlords to accept high risk tenants. For instance Ontario landlords can not assess the source of income. As far as the OHRC is concerned, rent money from welfare is equal to earned income from employment. In the real world we know this is not true, because Ontario landlords can not garnish welfare but can garnish employment income. The OHRC also prevents private Ontario landlords from using a common sense rent/income ratio. Ontario landlords are ONLY allowed to determine if the tenant’s monthly income is enough to pay the monthly rent. Ontario Landlords are NOT allowed to take into account the tenant’s obvious other monthly living expenses when determining if the tenant can afford the monthly rent. On top of this, Ontario landlords are NOT allowed to reject a tenant if the tenant has no credit history! These are just a few of the examples of how the Ontario human rights commission actually forces Ontario landlords to accept high risk tenants. Ontario landlords would be breaking the law if they followed the example of this LA property management company!